Coimbatore : Three major MSME associations Tuesday joined issue with the BJP Coimbatore Lok Sabha candidate C P Radhakrishnan over his comments on the status of industries in the region after demonetisation and GST implementation. 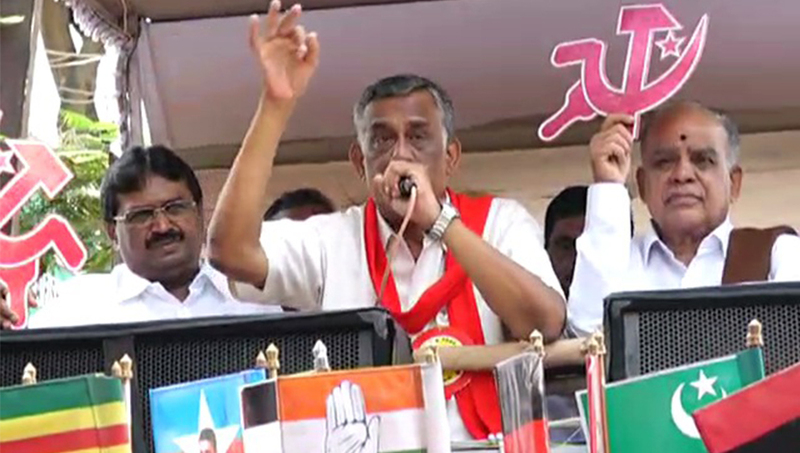 Both Radhakrishnan and his CPIM rival P R Natarajan were apprehensive that the issue would affect the outcome of the poll and tried to woo industries during the campaign. Natarajan was campaigning citing the report tabled by the Government on the table of the state Assembly that 50,000 small industries were closed and five lakh rendered jobless in the aftermath of demonetisation and implementation of GST. Radhakrishnan attributed the closure to various reasons including long power cuts during the DMK regime and said the next generation was not interested in running their family business and wanted to settle abroad. The associations, Tamil Nadu Association of Cottage and Tiny Enterprises, Coimbatore Pumpset and Spares Manufacturers Association and Tamil Nadu Grill Manufacturers Association, in a joint release said that the impact of GST was very serious and more than 50,000 industries were closed and lakhs rendered jobless, which was evident in the speech of AIADMK MP, Thambidurai in the Lok Sabha. However, both AIADMK and BJP, now in alliance, are attempting to divert the issue for election purposes, they said. Though both Radhakrishnan and Prime Minister Narendra Modi (during his recent visit here) have admitted some problem with GST and assured to bring its percentage down from 18 to five. The contradictory statements by Radhakrishnan will have serious impact on the industrial sector and also the outcome of the polls, they cautioned.